Our eyes are obviously getting worse. Contrary to our last post, the Boston Globe did run an item about the Boston Public Library suspensions of three administrators under mysterious circumstances, smack in the middle of yesterday’s Metro Minute page. In our defense, we had to go to the epaper to find it in the search engine – the website search engine produce endless pages of links to any article with “Boston” in it. Yesterday it was front-page news in the Boston Herald. The scoop from Herald reporter Sean Philip Cotter. The Boston Police Department is “reviewing” a “personnel matter” at the Boston Public Library — while City Hall and the BPL remain tight-lipped about why three administrators have been placed on unpaid leave. 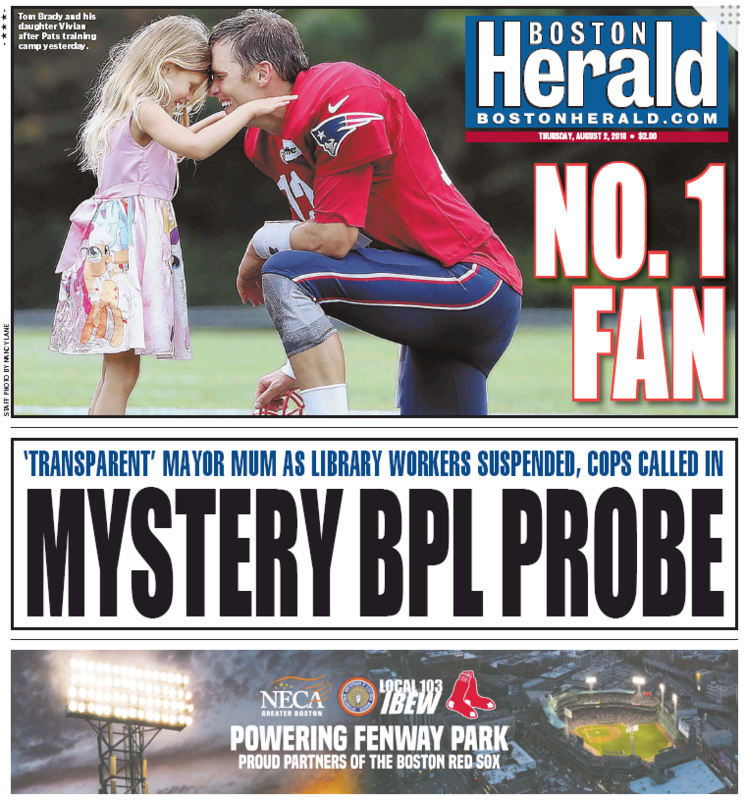 BPL spokeswoman Lisa Pollack confirmed that the library had referred “a matter” to the police, but refused to elaborate. “As this issue remains pending, we can not comment any further,” Pollack told the Herald. Today the firsty local tabloid ran this editorial. More than ever it is crucial that government institutions show complete transparency in their day-to-day operations. 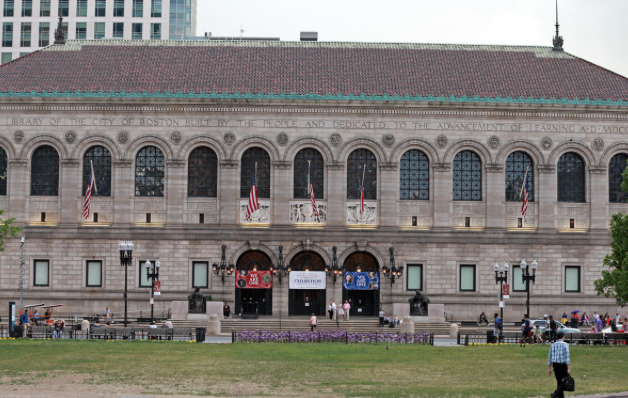 That is why it is concerning that the Boston Public Library has placed three managers on unpaid administrative leave and no one is saying why. There is an internal investigation underway. Additionally, the BPL has referred “a matter” to the police but library spokeswoman Lisa Pollack refused to elaborate. Also not weighing in: The Boston Globe. We get it that no news organization wants to play caboose to another. But c’mon, Globeniks – time to circulate some BPL news of your own. Ever since the Margaret McKenna/George Regan rumpus at Suffolk University began several months ago, the Boston Herald – especially columnist Joe Battenfeld – has been out front on virtually every development in the serial dustup. 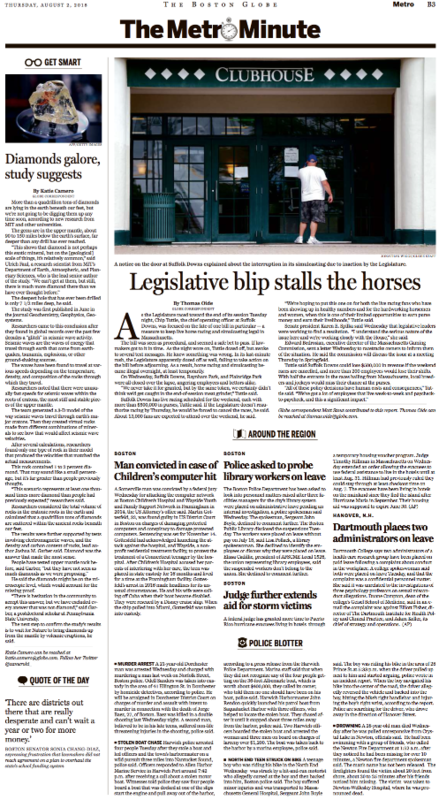 But today’s Boston Globe beats the firsty local tabloid – twice – on the latest mishegoss at Day Hop U. Start off with this Metro Page One report from Laura Krantz. Two months after Suffolk University trustees and president Margaret McKenna reached a truce that seemed to smooth their splintered relationship, a cloud of discord is still looming over the downtown college. A series of recent events raises new questions about the future of the besieged school, and about how long McKenna will lead it. The college’s board of trustees has hired two attorneys to address personal and professional allegations against McKenna by public relations executive George Regan, who has threatened to sue Suffolk after it canceled his firm’s contract. In addition, the school faces renewed scrutiny from accreditors, and professors say morale has plummeted. In other words, it’s a mess. You’ve been admitted to Suffolk University, in the heart of beautiful downtown Boston. You’re going to love it here, should you choose to join the class of 2020. And we sure hope you do, since we need your tuition payments to keep us alive. We have super courses in psychology, political science, marketing, and law, to name a few. There are three libraries and a campus in Madrid. And sparkling new buildings, all steps from the famous Frog Pond. Please, choose us! And please, pay no mind to the grown-ups acting like vindictive children here on Tremont Street. They just run the place. Nothing to worry about. It just gets snarkier from there, especially about George Regan. Crosstown at the Herald, meanwhile, all’s quiet on the Suffolk front today. We’re assuming that changes tomorrow.